So what does 2014 NAB shown so far in this respect? So 240p 720 is already here, in what quality or bit rate? Too soon to tell not to mention as a JVC pro camera it is probably going to cost as much as a small car. The important thing here is that the technology is already here and can be ported to the lower end products in a couple of refreshes. Low cost hi speed in this product is not an option! 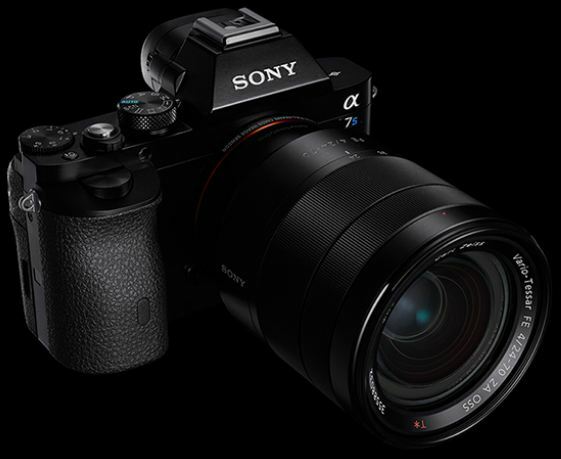 In the case of Sony they came out with the Alpha 7s which is a Full Frame Low Light Monster at just 12.2 Megapixels it should become the newest benchmark sensor in both Low Light Hi ISO performance and Dynamic Range. With a Sensor pixel size considerably larger than the 5D mk III 6.25µ, probably above 8.5µ. It should create some of the most spectacular low light images ever captured by a digital sensor. 12 Megapixels 4240 x 2832 Full frame (35.8 x 23.9 mm) CMOS Sensor. 1:1 – 4k Pixel readout of the full sensor. No Aliasing or Moire. No word on Rolling Shutter Yet! 4k Video output will require external recorder. No In Camera 4k! Extreme ISO range ISO 50 – 409,600. Micro HDMI 4:2:2 Output at 8bit for 4k and 1080p. There are no real 720p 120 samples for download yet but we expect quality to be reasonable. The only sample is the Seagull Lamppost flight in the post below. Not as good as perfect 720p but a good approximation. Price is yet a rumor but it should be between $1699 US and $2599 US. Right in the area of the Panasonic GH4. Clearly this camera is going to be a great choice for wedding shooters and people who look for the utmost dynamic range and ISO performance. there is no way a GH4 with a m4/3 sensor as good as the low light has been shown to be is going to fair well against this FF sensor with such a clean image. Full a7s camera Spec Sheet PDF Here. Black Magic has decided to go full steam to production cameras. Frame rates are capped at 60p for all the new cameras so above 60 frame slow motion is not going to be an option on these new cameras. 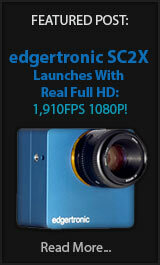 120p full 4k RAW Output – Massive Data-rates. AJA seems to have created an Alexa and RED competitor for a much lower initial cost. It will be interesting to see if the 12 stops in dynamic range can compete in a 14 stop world. No Rolling shutter is a great feature to have for production and Special Effects. As far as hi speed companies go, Vision research will be showing the Phantom Flex 4k wich can shoot 4k up to 1000fps RAW video. Also we have the TS4 from Fastec and other Hi Speed focused companies. Some of these will cost more than a small home so they are not in the scope of this website’s radar. After all we are in the quest for low cost Hi Speed! We expect more companies to announce new gear as NAB 2014 unfolds over the next three days including more hi speed related news. Stay tuned! We recommend to tune in to the Teradeck live stream here for live video feeds from NAB 2014. 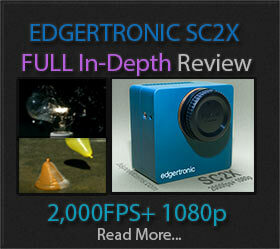 Previous PostPortable Slow Motion That You May Already Own!Next PostTwo Cameras That Could But Failed!